Congratulations to Kathy Neuts of San Jose, CA on the purchase of Adonis. 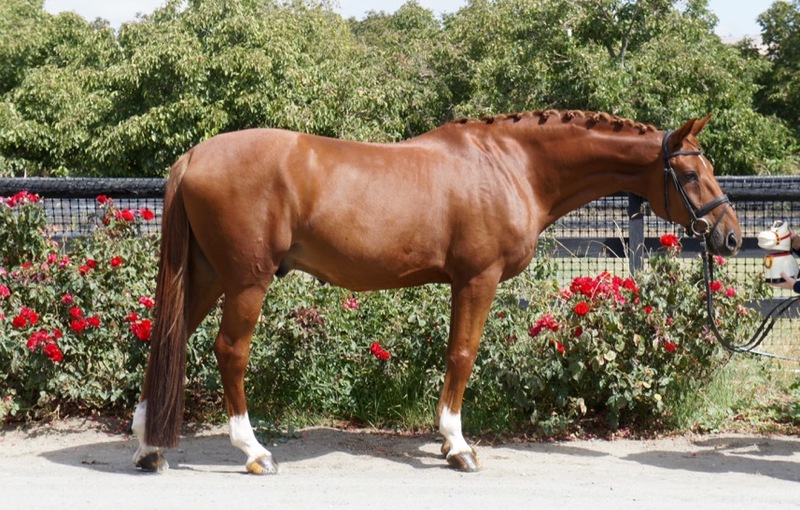 aka Ace is an Imported, 12 yr old, Dutch Warmblood (Tjungske, Capitol I x Mermus R) gelding. Ace is good looking guy with fantastic temperament, super friendly and an absolute gentleman. He is schooling 4th Level.